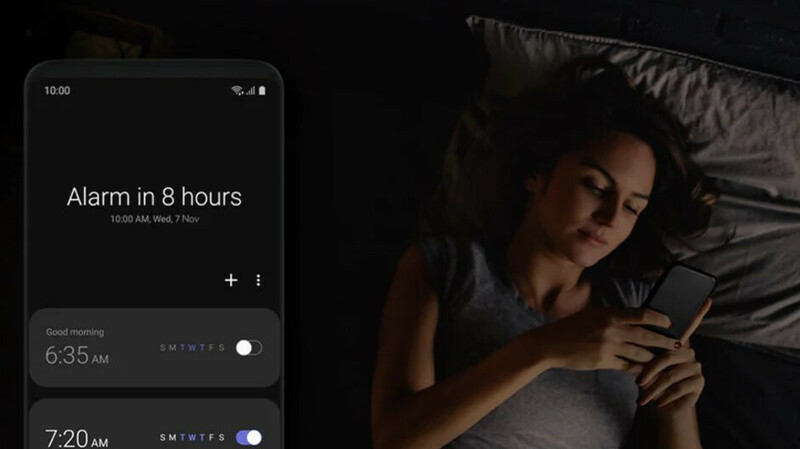 Samsung's head of interface design got on stage during its developer conference keynote in San Francisco a few weeks back and detailed what is perhaps the biggest interface overhaul in the phone brand's history. Dubbed One UI, this Android 9.0 Pie interface of Samsung can already be found on large troves of Galaxy flagships like the Galaxy Note 9, S9 and S9+, and is poised to soon grace the Galaxy Note 8, S8, and S8+ as well. The kicker is, however, that Samsung has rethought navigation and display content from the ground up with today's big screens and its upcoming foldable phone in mind. Thus, the actionable content is situated in the bottom half of the usable screen canvas, with big, fat, juicy icons and switches, while the glanceable or readable one is at the top where your thumb can't reach anyway, especially on today's 6"+ phones. This sounds like the Holy Grail of big-screen touch interfaces and is a totally different approach compared to current one-handed modes that simply shrink the content to manageable heights, making icons microscopic in the process. Let's take a look at how the first of the One UI interface that is coming soon to your S9 or Note 9, fares against Samsung's current Experience 9 edition. The two most noticeable new options that One UI brings to your oldie but goldie Galaxy are gesture-based navigation replacing the usual virtual key strip, and the system-wide Night Mode. That last one is a godsend, as you can see in the screenshots below, especially at night when you don't want blinding white backgrounds to pierce your eyeballs. We kept it on during the day as well, as black is gentler on battery life when it comes to OLED displays. As far as the new navigational gestures are concerned, we are on the fence. Samsung is a bit handicapped when it comes to those, as the sides of its curved OLED displays are doing their People Edge or other duties, so busting a move from there is out of the question for now. It already has a pull-down and swipe-up gestures on an empty screen area to bring the notification shade from the clouds or open the app drawer, therefore the only side left to tinker with is the very bottom. That's exactly what the new One UI does - its gesture navigation option replaces the bottom strip with three even-spaced "pills" for home, back and recent apps, or you can hide those altogether and only swipe by muscle memory. Needless to say, except that they are aesthetically more pleasing than a strip, these gestures add no value to the navigational ergonomics, as you have to stretch even further down with your thumb for the action. The odd screenshots below are from One UI, the even ones are from the previous Experience interface, and you can clearly see how the move to fatter, juicier, more colorful icons that are easy to discern and tap on. In addition, everything actionable is moved under your non-stretching thumb at the middle of the display or below. Swipe down the notification shade and read the notification, swipe again and turn the bottom-feeding toggles on or off with a lazy thumb move instead of thumb yoga, we dig what we see so far. The settings app has also been greatly overhauled with larger, more aesthetically pleasing visuals, and a thorough options purge has been carried out in the submenus that are now much more cleaned up than before. In there, new options like turning off animations to speed up the interface, or locking your home screen layout, have appeared, as well as a few other minor ones. Note: Odd screenshots are from One UI, the even ones are from the previous Experience interface. As usual, the camera app is living its own life when it comes to interface updates, as it has undergone a change of concept towards one-handed operation, too. The scene modes are moved towards the bottom, while the settings that are used less often, such as the flash and full view toggles, are moved towards the top. This way you can easily switch without stretching or having to use two hands, plus the tags and labels are larger. Samsung is on the right path with this new interface, as it makes big-screen phones easier to use without having to resort to your other hand. The navigation gestures are a "me-too" moment as they are tucked even further down the bottom to execute than the current key strip. The interface-wide Night Mode, though, is a godsend for OLED displays and for the darker hours, especially when you wake up and have to read something without burning your retinas. 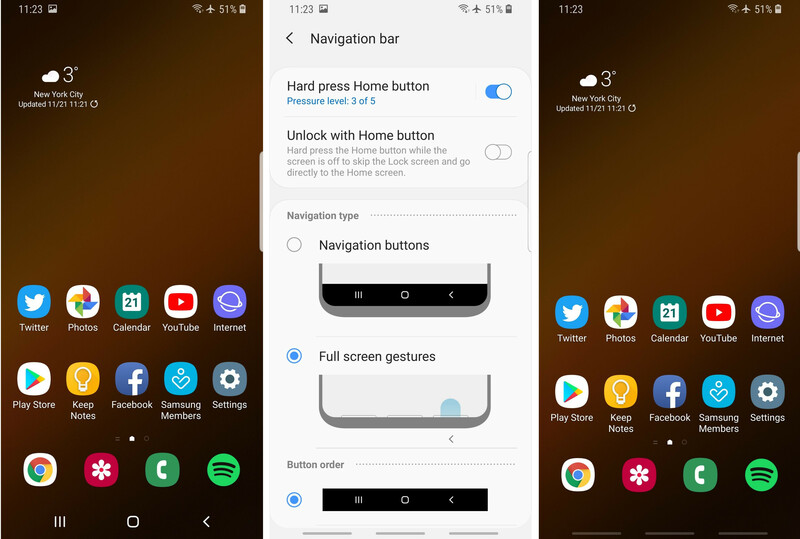 In addition, Samsung has curated its submenu options to a great effect and offers neat tricks for speeding up the interface like turning off the transitional animations. Minimizing thumb yoga and making the interface nimbler and easier on the eyes? We'll take One UI as soon as Samsung can deliver the Android Pie update to its flagship lines. One UI is coming along quite nicely. Hell, what's not new? I can't wait for this. Dont have it yet? Dude one UI change this note 9 in ways I wouldn't think possible, and I'm getting way better battery life since I've gotten the update. You're missing out bra. It's a real refresh Oreo. I've been enjoying the beta on the S9 Plus. Do tell - here is the comparison? All you've done is shown the new UI; where is the side by side with the old UI so we can compare? Then you have the gall to refer back to this in your January article about the roll-out for the note 9. Got it this morning and the ui is phenomenal. Nice improvements. Even the gestures work well and are natural for me because I was already swiping up to get to my hidden nav bar. "We won't be placing any verdicts, as One UI is still in early beta stage but Samsung is on the right path with this new interface" An I reading this wrong or am I mistaken that I have been using the final version for a few weeks and the beta version for a lot more than that! I also cannot understand why having gestures or buttons at the bottom of the screen is difficult to navigate, they are in the position they should be and easy to get too. They are also familiar to 80-90% of phone users so they feel natural. Some of these writers on this site is a joke honestly.. I always use Nova Launcher with a dark theme anyway but I do like the parts of the interface I can't change, it's clean, the gestures work really well and things are easier to reach. I don't miss the nav buttons at all.